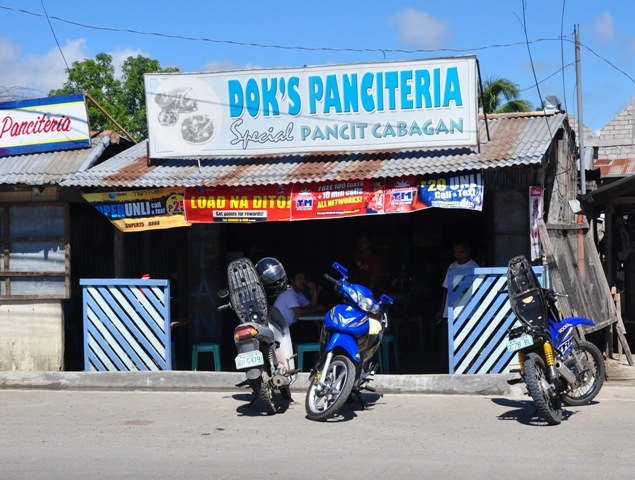 Tuguegarao is perhaps the city in the Philippines with the most number of panciterias (noodle houses). It’s like there is a panciteria on every corner. They serve either Batil Patung or Pancit Cabagan. We asked insiders for the best places to have them. We had our Batil Patung at Big Star. Batil Patung is a Tuguegarao original. Batil means mix and patung means top or topping. The noodles in Batil Patung are the flat kind. The topping consists of sautéed beef or, I guess, carabeef, bean sprouts, sliced leeks, julienned carrots, crushed chicharon, meat loaf slices and fried egg. It comes with a cup of egg drop soup meant to be sipped or mixed with the pancit. Chopped red onions, calamansi and chili peppers are also served. The fifty-peso super we had was huge enough for two people. It was actually my second time to try Dok’s Pancit Cabagan. 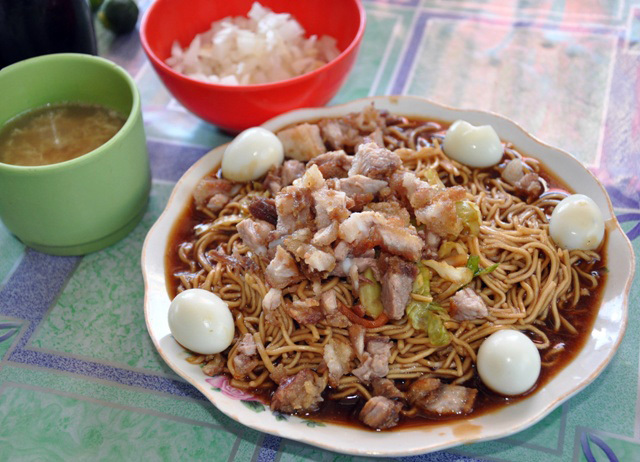 Pancit Cabagan is said to have been introduced by a Chinese settler in the town of Cabagan in nearby Isabela province. It looks Chinese enough. The wet pancit has round noodles, julienned cabbage and carrots, boiled quail eggs and a generous heap of lechon de carajay slices. It comes with the sweeter white onions, calamansi and egg drop soup. The fifty-peso serving is supposed to be for one person but I shared mine with the dude. My Verdict: I should have ordered one whole Pancit Cabagan for myself. I was craving for it the whole time on our way back to Laoag. The noodles, perfectly al dente, and the lechon was tasty with thin and extra crunchy skin. I liked it more than the first time I had it last year. I’m not gonna have Batil Patung again. I didn’t like the “nuang” smell, which reminded me of a “beef” dish I had in a carinderia in Buguias, Benguet, many moons ago — one of my freaky road trip misadventures. To add, the noodles were dry and nasoprak (Help! What’s the English word for it? )… but then, the problem’s probably me because Batil Patung is really popular even to non-locals. I do agree w you! Never leave Region II without tasting the Pancit Cabagan otherwise you missed half of what you came for in RII…I was brought up to feast almost every meal of this palatable dish,or should I say viand? ?…as I would recall me and my siblings would toss the noodles on rice and have it as if its already our viand…masarap sya actually!…try it! You can also buy your own fresh Cabagan noodles at Dolfo’s Restaurant over at Naguilian Isabela for 50bucks a kilo fyi so you can try preparing your own Pancit Cabagan!!!!!! sarap ah.. i like pancit pa naman. the pancit Cabagan was soo good! im quite cynical about your comment between these two pancits. but, with much respect, i understand that it was indeed your own tastes and preferences. Anyhow,pancit batil patung is really sumptuous…really delicious when cooked properly. Likewise, pancit cabagan shares a tremendous great taste.. but for me, when you have the overloaded pancit batil patung, you’ll surely turn your thumbs up with your mouth drooling for another round… would you care for a second test? Thanks for respecting my honest review. Okay, the Pancit Batil Patung Challenge…. 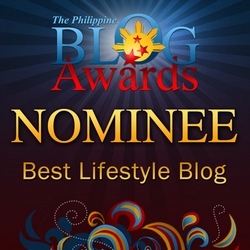 In Search For The Best Pancit Batil Patung… on my next trip to Tuguegarao! tama ka mas masarap nga ang pancit cabagan,,,mostly kahit sa d2 sa manila karaniwang ioorder ng mga customer ay ang pancit cabagan. My former boss is from Region 2, but he drolls more on the noodles that we have here in Laoag! It is simply because we have plenty of noodle varieties to offer: the miki, lomi, canton, sotanghon, bihon, as well as the ubiquitous hibol, the fancy ones with seafoods as garnishes, etc. I don’t know if Region 2 is now serving our famous Batac Miki. My former boss just loves draining his bowl of special miki!! He eats like a horse whenever a Bday celebrant in our office serves the pancit canton of La Moda noodles!!! Both pancit batil patung and cabagan are fine although . I prefer batil patung. Unlike batil-patung, toppings of pancit cabagan are already pre-cooked while the nodles are cooked upon placng the order. Its like having your ulam on top of noodles. 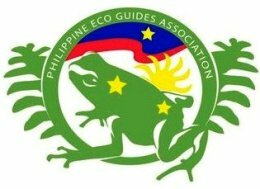 The best pancit batil patung that i like are coked in Long Life Panciteria (caggay), Lamuds (cataggamman), Pagulayans (in centro, near palengke), gretchen’s, Ugac Highway Panciteria, TRiangle, the one in front of DEP-ED, an a lot more i forgot the name. The author may have been led to one of those whose cook had a hang over LOL. Tuddaos’ wasone of the best, but when the Tuddao Matriarch “retired” the tastes got different somehow. They use some secret “crakcers” on their batil soup. Batil patung is best when the toyo the beef is cooked to a slight burn. 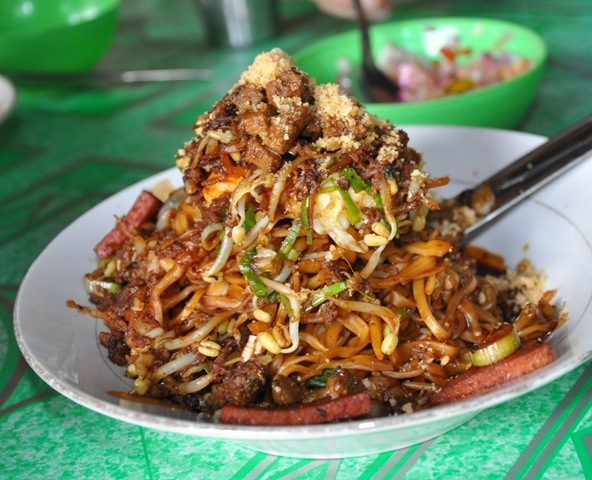 Yeah, its a good idea to search the best pancit batil patung in town! 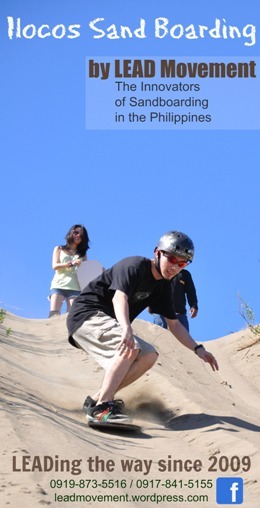 @Jonathan: I’ll try your all of your suggestions when I visit the Cagayan Valley again, for sure. I hope to make a review like I did with the 2 I’ve tried last. Thanks a lot! i love the pancit cabagan more! patrick (bf) and I had our first taste of pancit cabagan when we went to isabela going to Tugue with Bizelle & Kim! That was the BEST pancit i’ve tasted in my whole life! Kung pwde ku nga dalhin sa Manila para matikman ng family & friends ko i would but i dunno how to cook one..Would you guys know where i could eat one in Manila?? Hey, madam tina, have you tried the batil patung sold near the Northern Hospital in Laoag? Just saw their signage, and will go sample it soon. gotta try it too, Herdy. I must agree with some of the posters. I have had sumptuous Batil Patung in Tuguegarao, and it was not at Big Star. uhm, so the pansit is also chinky eyed as it looks chinese enough? it looks like chow mein or birthday noodles with all those quail eggs. i had sampled batil patung in tuguegarao and it was the best i had so far..problem was i don’t know the name of the panciteria in caggay..i can’t even remember where it’s at..its been a decade ago since i first tasted it..good thing my husband is from cagayan and whenever we go to their province, my search for that “panciteria house” is always on top of my itinerary..i’ve tried a lot of other version but it was too salty for my taste..i’ll try jonathan’s advice..thanks!! i’ll prefer the pansit cabagan noodles then top with it with batil patong style.